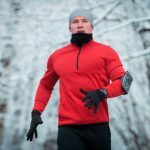 Having the right winter running gear makes a huge difference in being able to enjoy running in the winter. 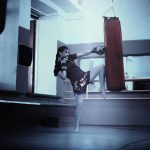 In this article, you’ll know which gear to go out and get and which gear to avoid when you’re shopping this holiday season (even if it is for yourself!). 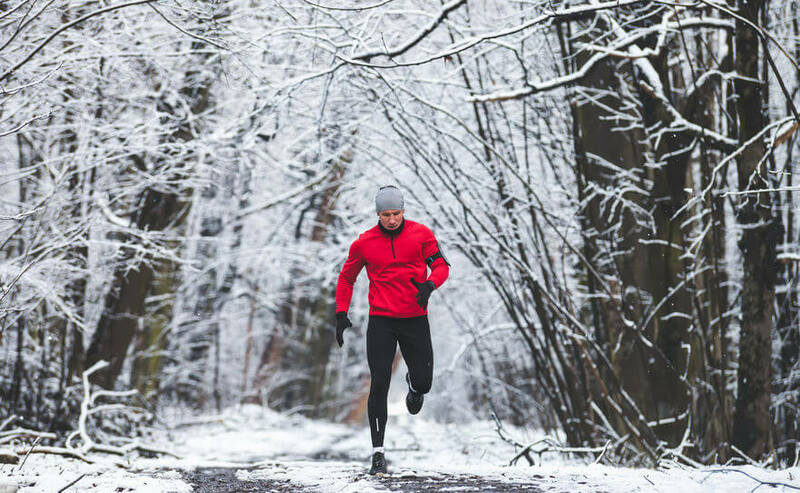 If you read our winter running tips article a few days ago, you know how important the right gear can be, especially in the winter, so here are our winter running gear essentials. Let’s Get Started with Everyone’s Favorites. Shoes! Review: The Ghost from Brooks has been one of the best selling running shoes for years. It was also selected as Runner’s World Editor’s Choice for running shoes in 2019. There are some great reasons for this. With its BioMoGo DNA midsole and DNA Loft softness, the shoe is both comfortable and responsive. But in the winter, you don’t just need comfortable and responsive. You need a shoe that stays dry and avoids slipping around in icy or snowy conditions. This shoe passes the test with flying colors. The Ghost 11’s Segmented Crash Pad absorbs shock, improves heel-to-toe transitions, and doesn’t slide around in moderately icy or snowy conditions. It is an excellent shoe for all conditions. The only downside is this shoe is not built for super extremes. A touch below freezing? A little bit of snow/ice? Fine. But if you’re running in Siberia in the dead of winter, consider a different shoe. Not Built for Extreme Conditions. Our grade: A- (ideal for moderate conditions). Review: Altra is slowly turning its brand into a household name in running. 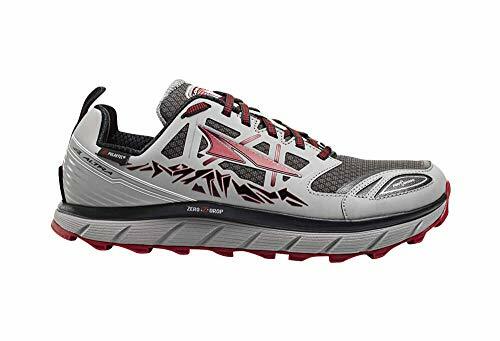 It certainly is not mainstream like New Balance, Brooks, or Asics, but Altra has found a niche in building for extreme conditions. Ultramarathoners and other runners with similar bouts of insanity have found their home in the Altra brand. The Lone Peak 3.0 Neoshell especially is built to handle the extreme. Snow? Mud? You name it, this shoe can handle it. The Polartec Neoshell that Altra uses on the outside is waterproof and is exceptional at keeping muck off the shoe and staying firm and resistant in tough conditions. But, while the shoe is exceptional in cold and wet winter conditions, it has the downside of not being able to handle summer conditions well. If the weather is warm, expect your feet to be very warm very quickly. Our Grade: A- (ideal for extreme conditions). 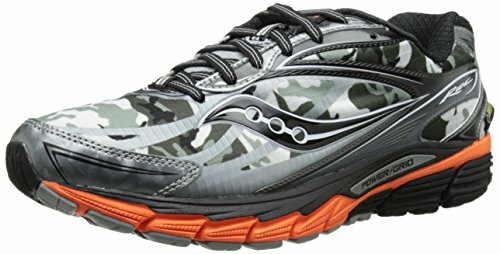 Review: Saucony has been making quality shoes for many years and the Ride 8 GTX is no exception. This shoe is lighter than both the Ghost 11 and the Lone Peak 3.0. This makes it a better shoe for harder efforts like tempos or even longer races. The shoe claims it is waterproof with the Gore FLEX and we’ve found that it works well, but is not as effective as the Polartec waterproofing found in the Lone Peak 3.0. Our Grade: B (a strong choice for front of the pack runners in moderate conditions). Review: This jacket is sweet! Not only is it waterproof and windproof, it is also warm and lightweight. We love that the jacket is breathable and has a hood to keep cold rain off our head and neck. It is also super light and folds down into its own chest pocket. The Salomon Skin Dry Advanced technology does a great job of keeping you dry both from the rain and from your own sweat. The only downside could be the fit. If you have a longer or wider torso, it may be a little tight or small. It also is an expensive jacket. Built for Skinny Runners with Short Torsos. Our Grade: A (Ideal for runners in all winter conditions, if it fits). 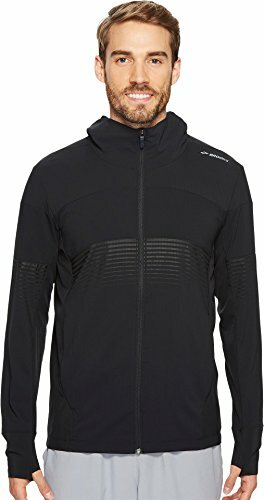 Review: In a time of year when daylight is scarce and safety is a priority, the New Balance Reflective Packable Jacket shines (literally), ensuring that you are visible on the roads. 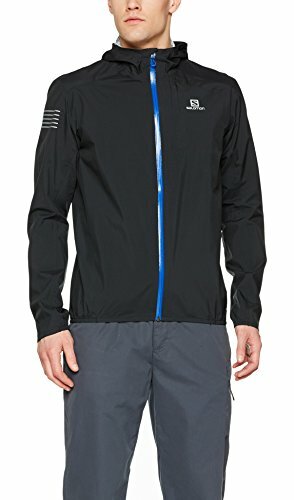 The jacket looks great and is both wind and water-resistant. 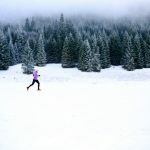 It is thick enough to keep you warm in sub-freezing temperatures but light enough to keep you moving at your goal pace. Our biggest issue with this jacket is the lack of a hood, which could expose the head and neck to rain that can end up soaking through the rest of your body if you’re not careful. We recommend it for cold weather and in the dark, but the lack of a hood makes it difficult to choose in winter rains. Our Grade: B+ (Ideal for cold and dark, not for rain). Review: This jacket made a name for itself on the shoulders of Des Linden as she won the 2018 Boston Marathon. Not only does the jacket look great, but it also does a good job of keeping you warm and dry in adverse conditions. This piece of winter running gear may not be the ideal option for a blizzard or torrential rain, as we’ve found the waterproofing is not perfect, but the Canopy does a good job, like the Ghost 11 shoe from the same company, of being a strong choice for moderate conditions. Combine that with good durability and a reasonable price, and we highly recommend this jacket. Not Excellent in Extreme Conditions. Our Grade: B (ideal for moderate winter conditions). Before we get started here, let us be clear that winter running tights are for both women AND men. 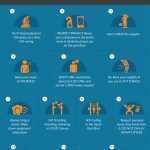 Watch a workout from any elite running on cold conditions. It doesn’t matter what their gender, they are wearing tights. Review: We tried these out a few weeks ago and they quickly became our favorite winter running tights. These light tights keep you dry, avoid chafing, and keep you warm. Our males loved them as well, complaining that most winter running tights restrict movement too much, but these allowed for a full range of motion while staying warm. 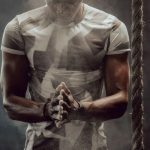 That’s why these tights are selected as our “Best Men’s Winter Running Gear 2019”. We tried them out in sub-freezing temperatures, but they are a little thinner than some other tights and may not be ideal if the temperature drops below zero. May Be Less Than Ideal for Sub-Freezing. Our Grade: A (Ideal for any run between 40 and -10 degrees Farenheit). Review: These tights do a great job of balancing mobility and warmth. The NB Heat fabric helps you to stay dry and warm in winter conditions. These tights also have a reflective strip on the front, sides, and back of the legs, allowing you to be visible from all sides. These tights also have a good pocket on the side, with plenty of room for a phone or wallet. A zipper on the side of the lower leg is a great feature to help take these tights on and off easily. That, along with a drawstring around the waist, is a big help for ensuring the tights fit well. All in all, these tights are great for winter conditions. 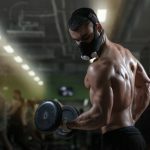 They have a bit less mobility than their Under Armour competitors, but they are good looking, durable, and breathable. Our Grade: A (Ideal for colder temperatures). Review: If you are consistently running in temperatures close to or below zero degrees Fahrenheit, these tights are excellent. They are thick, breathable, and allow for good range of motion considering how warm they are. 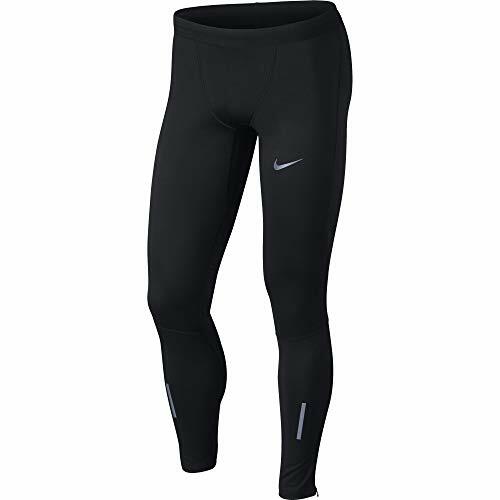 We like the relatively simple design, black with the Nike swoosh above the knee (the men’s has a reflector stripe on each shin) and the zippers on the side of the calf to make it easy to get them on and off. Another huge plus is the minimal waistband for both the men and women. This keeps these tights lighter and more comfortable while still staying in place for many miles at a time. The biggest downside, as is common with Nike, is these tights are very expensive. Our Grade: B- (Ideal if you do not have a limited budget). We only selected crew cut socks for our selection. We have found this to be the most popular length for winter runners as it balances warmth with comfort. Some runners enjoy knee high socks, especially in the winter months, but while they are more obvious, they are also less common. Review: Defeet claims to be a cycling company, but we’ve found their socks to be excellent for running as well. Part of this is due to the temperature difference between running and cycling. 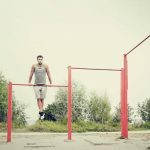 Due to the higher speeds that occur while riding a bike, cycling socks have to be thicker and warmer while still providing the mobility and comfort we expect from running socks. The biggest downside? It isn’t cheap, but it is the best sock we’ve tested. Our Grade: A- (Ideal for any conditions, if you have the cash). 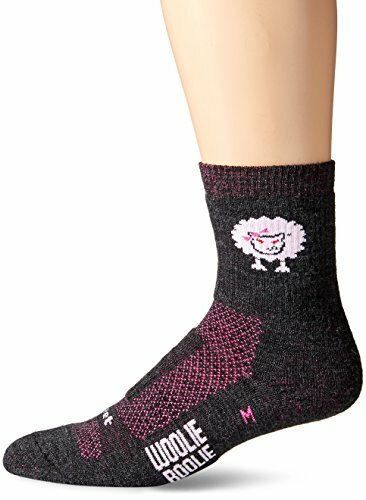 They don’t handle moisture quite as well as Defeet’s Woolie Boolie and the extra padding can sometimes feel a bit awkward, but they still do a great job of staying warm and dry in winter conditions. 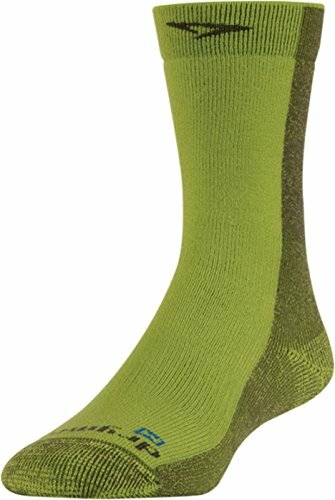 These socks also have great mobility and with numerous color options, they can match any winter running outfit. Our Grade: B+ (a great winter running option!). Review: These socks are super warm and a great addition to your winter running gear collection. We love the balance of cushioning and warmth and they are excellent at keeping the toes warm on cold winter runs. 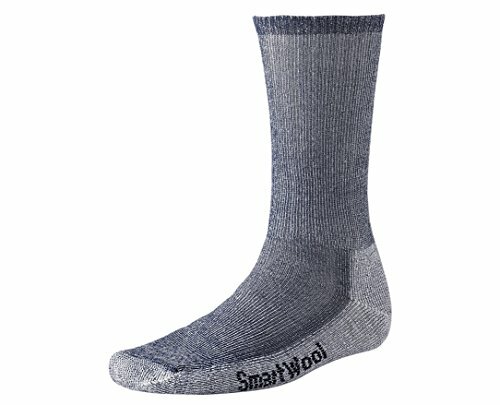 They are technically “hiking” socks, but we included them here because they are much warmer than most running socks while still staying mobile and versatile enough for a run. The biggest downside is the lack of moisture wicking technology. While they are “all-purpose” and “built for hiking”, they aren’t great if your feet tend to sweat a lot. Therefore, we recommend them on very cold runs at an easy pace. 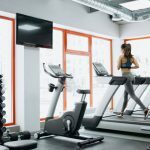 However, if you plan on running hard enough to work up a sweat, we recommend you go with one of the two previous options. Can’t Handle Very Wet Conditions. Our Grade: B (Ideal for dry and extremely cold conditions). Review: This beanie was named the “Best Winter Running Hat” by Runner’s World in 2018. We agree. 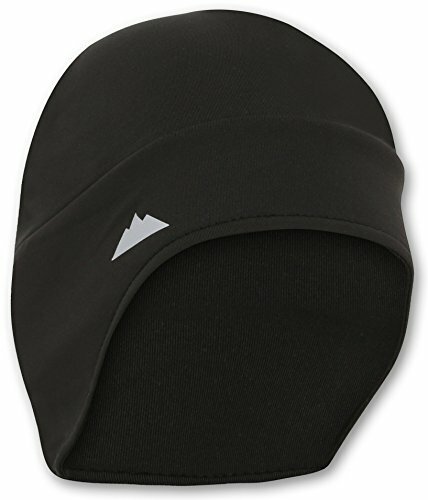 Not only is the beanie super affordable, but it is also lightweight and stretchy to fit well on any head. Our favorite part is the numerous color options, including bright orange and yellow to help with visibility and safety during the winter. The Tough Headwear beanie also does great with moisture and is thin enough to wear under a thicker cap if the conditions get too extreme. Also, if it ends up getting too warm, the beanie is small enough to pull off and fit easily in the pocket of a running jacket, running tights, or even to tuck into your waistband. Our Grade: A+ (Ideal for any day that requires a little extra warmth). Review: You might be wondering why Adidas, one of the biggest brands in running, hasn’t cracked our list yet. Honestly? We don’t love their winter running gear. They are one of our favorite summer brands but are not as specialized at making great winter options. This hat is an exception. 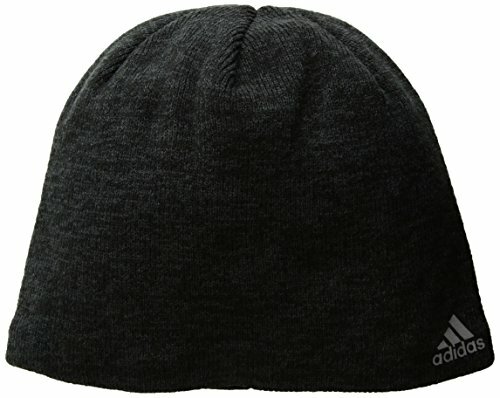 The Adidas Paramount Beanie does a great job of being a low-key great running beanie. Unlike all the items on this list so far, wearing this around town is perfectly normal. Heck, if it’s cold enough, you could even wear it to work. It also offers enough reflectivity to be seen, but not too much to be crazy. Its lifestyle appearance also doesn’t stop it from being great at keeping your head warm in cold weather. The Adidas ClimaWarm yarns are brilliant at trapping heat and staying dry. While we wouldn’t recommend it in a downpour, this hat is great at handling light rain or a good amount of sweat. The only downside is that the hat is a touch more expensive than its competitors. Not JUST A Running Cap. ClimaWarm Keeps It Warm and Dry. Our Grade: B+ (Ideal for any day of the week, unless your budget is tight). Review: Ok. That was a mouthful. Despite the excessively long title, this glove from Seirus is absolutely fantastic. 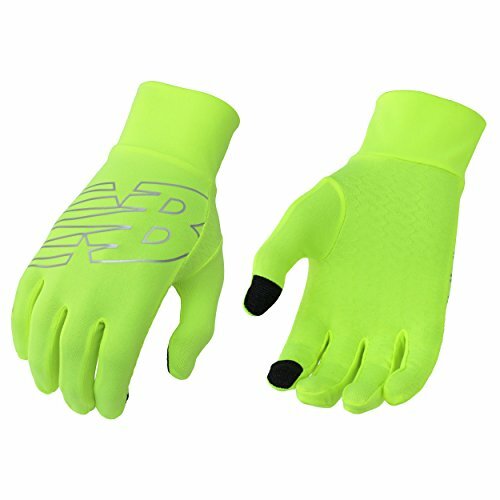 We’ve been trying running gloves for years and we’ve never found ones that are warm, mobile, stay dry in the cold, look good, and allows us to use our phones without taking it off. 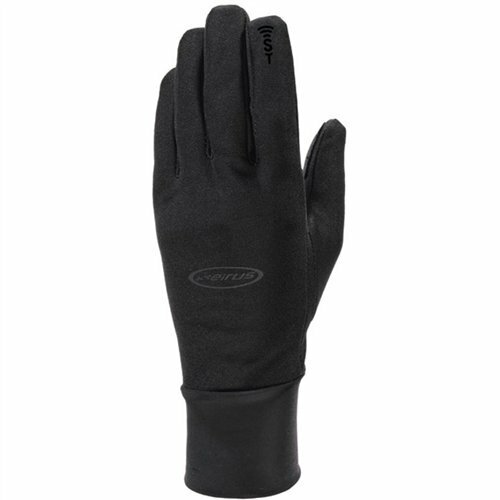 With this lightweight glove on you’ll still be able to tie your shoes, zip up your jacket, use your phone, or do anything else that a thicker glove makes it difficult to do. All the while, your fingers will stay warm and dry even in a heavy downpour. One of the most underrated part of this glove is the extended “sleeve” by the wrist. This allows you to tuck your gloves into a long sleeve shirt or jacket on a cold day and even strap your watch on top of it to make sure your fingers stay insulated and warm. These reasons are why this glove from Seirus is our best winter running gear 2019. Too Long of a Name! Our Grade: A++ (Ideal. Period.). 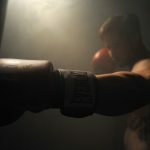 Review: These gloves are an excellent light option for moderate conditions. They are stretchy and breathable and we love the texture on the palms that helps with holding on to what we need. The touch technology on the thumb and index finger were also useful for our phones. However, they did not work as well when they were wet. 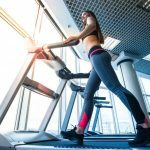 In general, these gloves are an affordable option to add to your winter running collection, but they may not be the best choice when it rains. Not Great in Extreme Cold. Our Grade: B+ (Ideal for a runner on a budget). 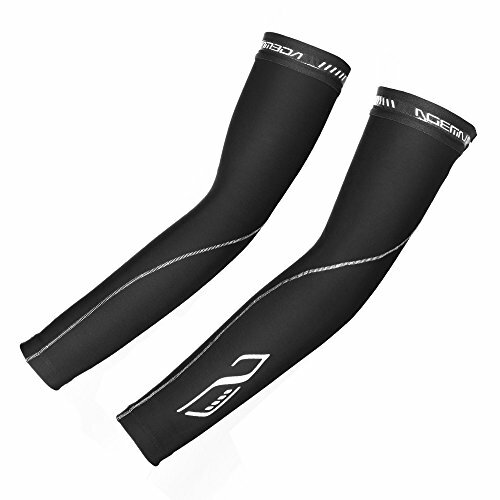 Review: With arm warmers the goal is simple. Warm. The. Arms. Seems obvious right? Yet so many brands charge a ridiculous amount for unnecessary things. That’s why we like these. They keep it simple. 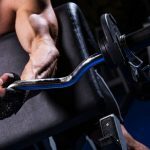 These arm sleeves are affordable and get the job done. They breathe well, stay in place, and are easy to slide off if necessary. We also love the three hundred and sixty degrees of reflectivity. Our Grade: A- (Ideal if the logo doesn’t bother you). 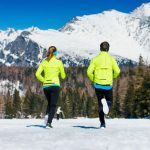 We hope you enjoyed our review of our favorite winter running gear for the 2019 winter season. For more information, subscribe to our newsletter and stay tuned to our website. 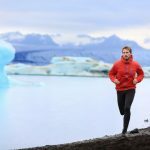 Winter and Cold Weather Running Tips for Beginners – Be Exceptional!